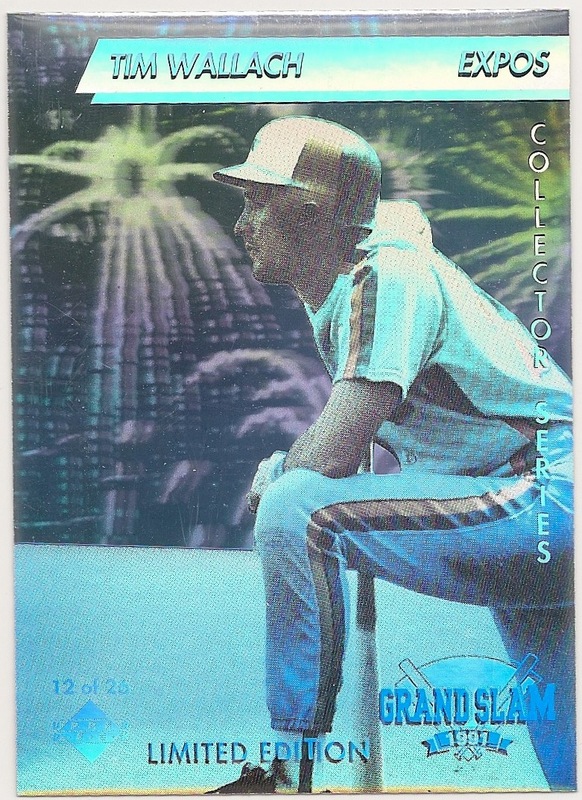 Card Review: 3.5 I remember these being a very big deal at the time. There was no Denny's in Cooperstown, so I didn't come across this until years later on ebay. 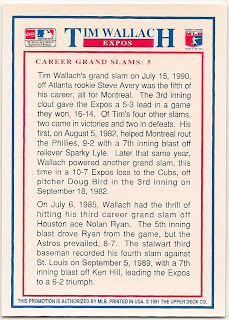 By then the excitement was long gone. 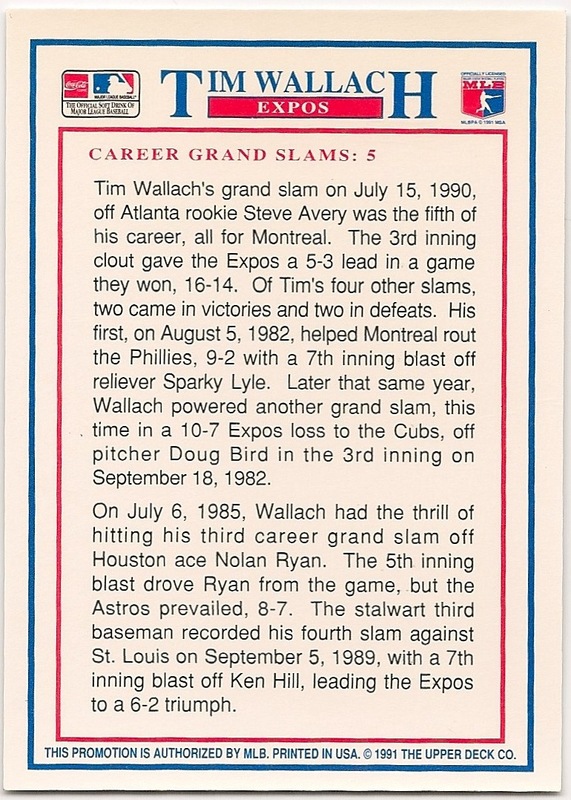 Fun Facts: *Wallach's 3rd grand slam came off of Nolan Ryan.